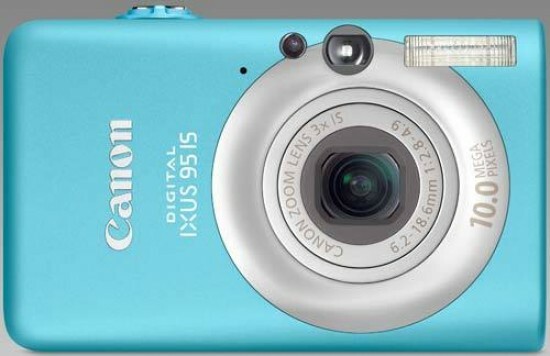 Reviews of the Canon Digital IXUS 95 IS from around the web. As the successor to the Canon PowerShot SD1100 IS, the SD1200 IS continues the quality and ease of use of the Digital ELPH series. This new ultra-compact digicam features an upgraded 10-Megapixel imaging sensor, Digic 4 image processor, Smart Auto and Intelligent-Contrast, as well as a slight reduction in size and weight. Other features have carried over, such as the 3x optical zoom with optical image stabilization, optical viewfinder and 2.5-inch PureColor II LCD screen, giving the camera a very familiar look and feel from past models. The pocket-friendly Canon SD1200 is well built and does cover all features expected of a point-and-shoot plus a few extras such as AE-L (Auto-Exposure-Lock) and the choice of 3 metering modes. This one one of the most easy to use ultra-compacts out there, definitely easier and simpler than the Fuji Finepix F200 EXR which was reviewed here last. The F200 does have unique modes and image-quality beyond any ultra-compact, including the SD1200, but this one is trivial to use compared to the F200.